The Ministry of Public Health (MPH) has signed a memorandum of understanding with WCM-Q and Al Meera Consumer Goods Company to launch a public health awareness campaign. The aim is to provide the public with a wide range of valuable nutritional information through posters displayed at a number of Al Meera branches across Qatar. The posters are intended to help consumers take informed decisions regarding their healthy and balanced diets. The memorandum of understanding (MoU) was signed by Dr. Saleh Bin Ali Al-Marri, assistant secretary general for medical affairs at the Ministry of Public Health; Dr. Javaid Sheikh, dean, WCM-Q, represented at the ceremony by Nesreen Al-Rifai, chief communications officer at WCM-Q; and Dr. Mohammed Nasser Al Qahtani, deputy CEO of Al Meera. “This MoU is part of our concerted efforts to promote public health awareness, especially as far as healthy diet is concerned, and the Ministry of Public Health attaches special importance to raising health awareness in the community in cooperation with all concerned partners,” said Dr. Al-Marri. He added that the Qatar STEPS Non-communicable Disease Risk Factors Survey 2012 showed that the majority of adult Qataris (91%) consumed less than five servings of fruits and/or vegetables on average per day, 45.9% of them had low physical activity, 41.4% of the respondents were obese and 70% were overweight. “These worrying numbers add to the importance of this crucial campaign which aligns with other important efforts, particularly the National Nutrition and Physical Activity Plan, part of the National Health Strategy,” Dr. Al-Marri added. Dr. Al-Marri applauded the cooperation between MPH and WCM-Q which has resulted in several initiatives, most important of which is Sahtak Awalan – Your Health First, which has contributed to promoting health awareness amongst the different segments of the community in cooperation with other partners. He also commended the cooperation between MPH and the private sector to enhance public health awareness, with the cooperation with Al Meera setting a good example in this regard. “The MoU signed today will encourage the community to adopt healthy eating habits, and is part of MPH’s efforts to promote healthy lifestyles that lower the risk factors of chronic non-communicable diseases, such as cardiovascular disease, diabetes and cancer,” said Sheikha Dr. Al-Anoud Bint Mohamed Al-Thani, director of health protection and non-communicable diseases at the Supreme Council of Health (SCH). “In 2015 MPH released the Qatar Dietary Guidelines which offer valuable insights and guidance for healthy eating, including identifying the basic food items that have to be eaten on a daily basis as well as the items that have to be reduced as much as possible or avoided altogether. 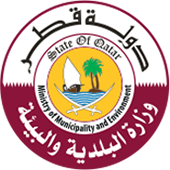 In addition, the Workplace Wellness Program was rolled out across Qatar as another MPH initiative with the aim of encouraging employees of ministries, governmental and non-governmental organizations to adopt healthy lifestyles in their daily lives to avoid a wide range of diseases,” said Dr. Al-Thani. “Sahtak Awalan – Your Health First was launched in 2012 in cooperation with the Ministry of Public Health with the aim of promoting healthy lifestyles in Qatar by encouraging the community to have balanced and healthy meals, amongst other goals. Today we are thrilled to sign an MoU with Al Meera Consumer Goods Company which will allow Sahtak Awalan and the Ministry of Public Health to prepare educational information in accordance with the Qatar Dietary Guidelines,” said Nesreen Al-Rifai, chief communications officer at WCM-Q. “Initially, shoppers at five of Al Meera’s supermarkets will be able to read the nutritional information we provide as well as the advice provided by health educators from the Ministry of Public Health. The initiative will offer advice and enable families to shop for healthy foods. We are confident that this initiative will be beneficial to the community as it will enable them to start living a healthy life and create a healthier society, especially with the prevalence of diabetes and obesity,” Al-Rifai added. Dr. Shahrad Taheri, Professor of Medicine at WCM-Q, and assistant dean for clinical investigations, said the Sahtak Awalan initiative would allow people to make informed choices. “Al Meera is committed to its role in social development, and thus is keen on supporting initiatives that aim to promote food safety and healthy eating habits,” said Dr Mohammed Nasser Al Qahtani, Deputy CEO of Al Meera. Dr. Al Qahtani stressed the importance of the MoU, saying that the health awareness posters will initially be displayed at five Al Meera branches, namely Legtaifiya, Gulf Mall, Al Wakra, Thakira and Geant, with plans to roll out the program later at more branches. The MoU stipulates that MPH will set up a task force to help with preparing and revising the posters, implement the health program at workplaces, carry out a survey to assess the needs of Al Meera employees (pre-survey) and conduct health check-ups for them. The MoU also involves a mutually beneficial exchange of expertise. The MPH will provide advice to all parties concerned whenever needed, promote wellness at workplaces, and assess public health knowledge and awareness (post-survey). WCM-Q will contribute to nutrition information of the posters in accordance with the MPH’s Qatar Dietary Guidelines and will set up a work force to help with implementing the program and preparing the posters. Al Meera will also set up a task force that will help with implementing the nutrition posters program and promoting healthy lifestyles, will host awareness activities at suitable times and will encourage consumers to adopt healthier lifestyles.